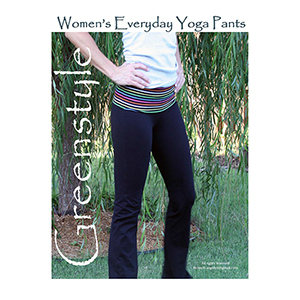 The Woman's Everyday Yoga Pants Pattern is perfect for beginner sewing and has easy to follow instructions along with both a shorts or full length options. Pattern contains sizes XS to XXL. 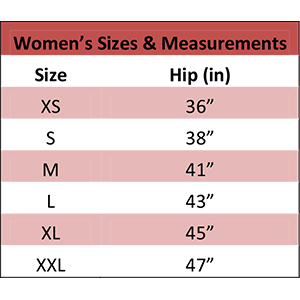 Medium stretch knit fabrics are recommended for the body with at least 50% stretch. Pattern requires 1 1/2 to 2 yards of fabric depending on size. Can use 1/4 - 1/2 yard of contrast fabric for fold over waist.